Apitherapy books describing the use of products from the beehive for better health and nutrition. Apitherapy Books There is 1 product. 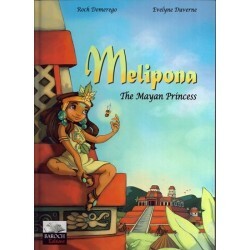 Melipona, The Mayan Princess - the storybook of a special honey bee and a Mayan Princess. Ideal for kids and adults, based on the rare stingless honey bee.